Jacquard Textile Colors leave fabric as soft as possible. Ready for direct application, Textile Colors can be applied with a brush, stamp, squirt bottle, airbrush, you name it! These easy to use paints are absolutely colorfast on natural or synthetic fabrics. No special techniques are needed. Used straight from the bottle, Textile colors are intense and semi opaque; diluted with water or the colorless extender, these paints have the qualities of the best watercolors. They can be bright and transparent or light and pastel. 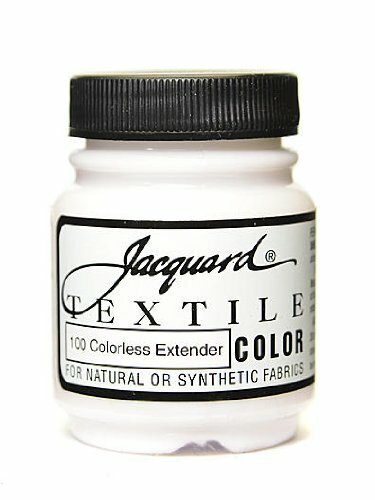 All colors can be blended with one another.Jacquard Textile Colors come in 2.5 oz. bottles. Sold as PACK OF 4.